Last night after the Radio Riel dance at the Rock Factory, the subject of tartans came up. Here are the online resources I’ve found for generating tartans (registered or created new). There are now two banners hanging below the doorway of my sky fortress. 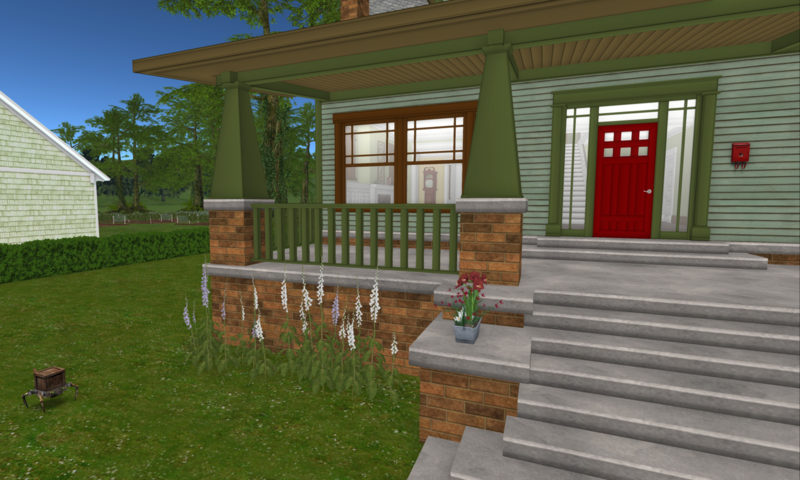 The Peace flag hanging from my porch is my first successful flexi-prim. I used a do-it-yourself flag kit, so I had instructions–but it still required a fair bit of tinkering because I was doing a banner-type flag. I made the texture in Photoshop (with some gnashing of teeth), it’s 256px the long way. I can’t tell if it’s a good size for 2.5m, because when I get up close the type is definitely pixelated, but it may be anti-aliasing. I’ll have to try a straight graphic, I guess. And I really need to find out how large a surface in SL a 512pix will adequately cover.